Read more about Wiz lights and their features on our information page 'here'. 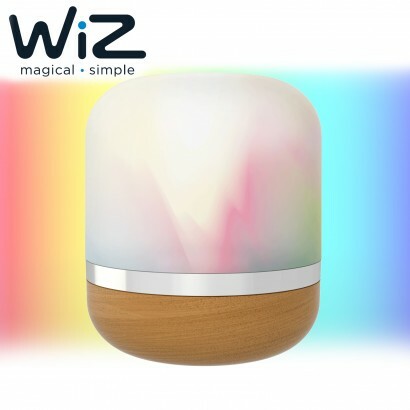 WiZ Smart Lamps are set up over your Wi-Fi network and connect to the cloud to provide whatever light you need, whether to create soft mood lighting, or super bright task lighting. 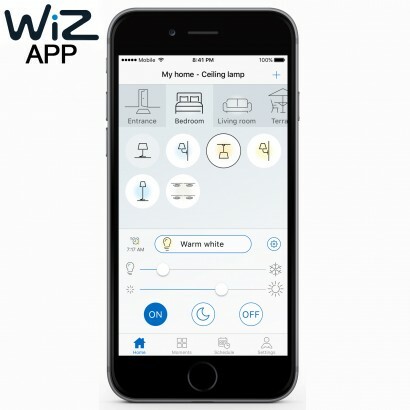 Setup is easy and quick, taking only 30 seconds to install once the Wiz app is downloaded, simply plug in, select your room on the app, and start pairing...done! Easily controlled with either the Wizmote remote, the free Wiz App available on IOS/Android, or simply with their inline switch. 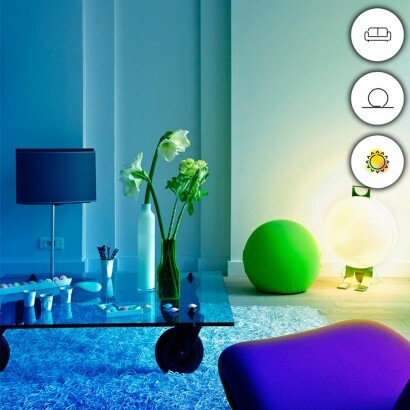 You can control your lamp from anywhere in the world as long as you have Wi-Fi connection. 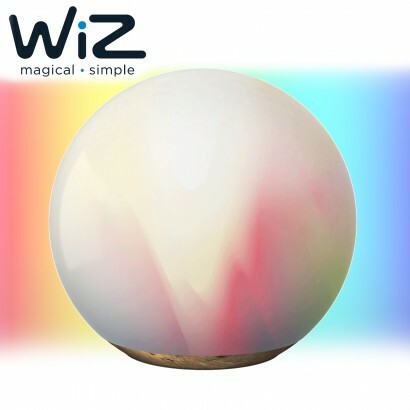 Available in the spherical lamp 'Spirit', or the domed lamp 'Hero', settings for the lights are on the cloud so you can share with your family and everyone can play! 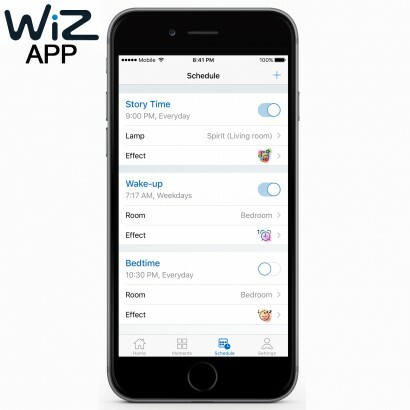 See also our Wizz Bulbs, Wiz remote, Wiz Projector, and Wiz Ceiling lights. 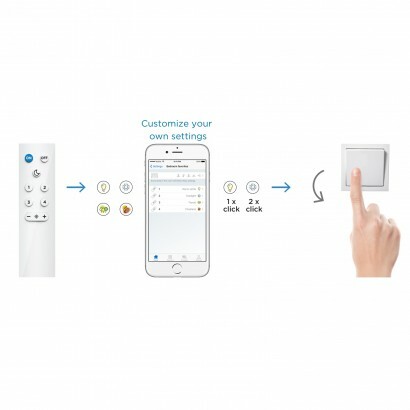 Control your lights with simple verbal commands in English or German. Now available with Amazon Alexa and Google Home.